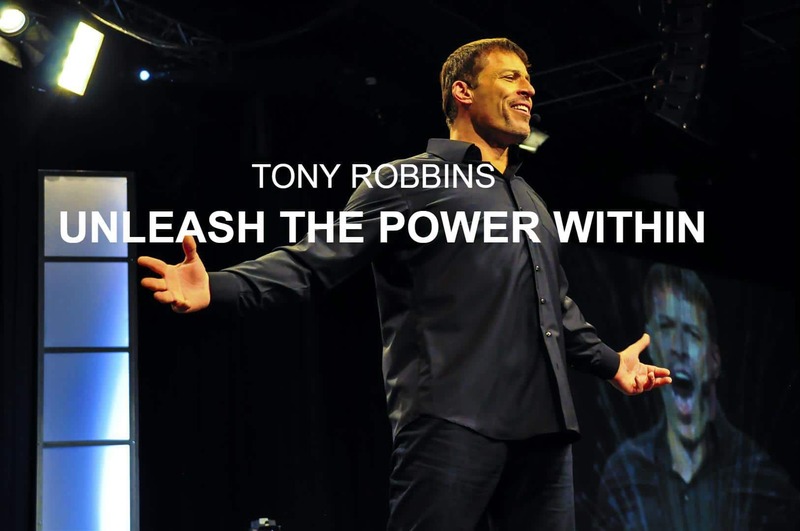 Tony Robbins is an American businessman, life and business strategist, motivational speaker, and author whose accomplishments both in his career and personal life are highly admirable. With a career spanning decades and borders, Robbins’ practical approach to helping others face their fears and create breakthrough and massive change quickly is what truly distinguishes him from other coaches. Charismatic, passionate, and insightful, Robbins has helped and empowered over 50 million people through his books, audios, videos and live training programs and he is ready to share his best secrets and strategies with his audience at his live events. Click here for All Upcoming Events in the US! America’s Number 1 life and business strategist and an international authority on peak performance. Named in the top 50 of Worth Magazine’s Power 100 list for the last two years, the authoritative ranking of the most powerful people in global finance. His Date with Destiny seminar attracts 3,500 participants each year and is the subject of the documentary film, “I Am Not Your Guru, by award-winning director Joe Berlinger. In 2015, Tony Robbins partnered with Feeding America to create the 100 Million Meals Challenge. In its first year he personally gifted 59 million meals and then matched funds for 102 million meals in total, surpassing the goal. To date, his challenge has provided over 200 million meals and is on track to hit an astounding 1 billion meals by 2025. Tony has also initiated programs in more than 1,500 schools, 1,600 correction facilities and provided support to 2,000 health and humanitarian organizations. He provides fresh water to 100,000 people a day in India in order to fight the number one killer of children in that country-waterborne diseases. Unleash the Power Within is designed to be a complete seminar covering all aspects of life over the course of four days. The seminar is subdivided into three main categories: Health and Vitality, Success, Wealth and Lifestyle, and Love and Relationships. This event is a opportunity for you to focus solely on your personal growth and to learn how to create change, breakthroughs and become a stronger. You will also learn how to take control of your state, become more resourceful and powerful person. Health and Vitality component focuses more on revitalizing your body and energy by learning and applying specific techniques that will lead to long-lasting changes. By increasing your energy and vitality you will also be able and eager to change your current lifestyle and therefore improve your quality of life. Wealth and Lifestyle component focuses on giving you all the tools necessary to take your finances to the next level. The seminar focuses heavily on the development of clear targets, the development of strategies, and the application of said strategies into your life. Love and Relationships component relies on teaching you how to create stronger bonds with your loved ones. From which words to use, all the way to how your own physiology may influence your love life, this segment teaches you how to communicate with others in an efficient way that fully reflects how you feel. These three topics are all discussed over the course of the 4-day live event. Why this event: If you want to learn practical and insightful tips and strategies that can be applied to your health, finances, and love life. On Thursday which is the first day of seminar, you will learn how to turn your fears into a catalyst that compels you to aspire to more. This segment is called “Turn Fear into Power”. On Friday, the segment “Turn Dreams into Reality” takes place, where you will learn how to take a deeper look into your own life goals and decide on what areas of your life you should be striving and working for more. On top of that, you will also learn how to reach those goals. After facing your fears on the first day, and defining your goals on the second day, Friday is the time to face your own inner conflicts which may be holding you back from reaching your full potential. This segment is called “Break through to your new life”, and it focuses mostly on changing your own beliefs that may be affecting your chances to succeed in a changing market and economy. The last day focuses heavily on the Health and Vitality category previously mentioned. In order to make any change in your life, it’s essential that you can keep your energy up and your body healthy. This segment is incredibly useful since it gives you usable nutritional and psychology tips and tricks to help you keep your energy and vitality levels up. This event is currently held in Sydney, Los Angeles, Singapore and London. Some of the past events were held in San Jose, California, Chicago, Dallas, Florida, Singapore, and New York. Tickets: Click here for early bird tickets and special deals! Date With Destiny is a 6-day long event taking place in a supportive environment of total immersion! During these 6 days you can not only discover who you are, you will also decide what you want from your life and how to achieve it. From your life, to your career, finances, relationships, and health, this seminar is designed to give you a clear understanding of what really motivates you, and how to use this motivation in order to live the life you have always envisioned. You will find your own unique strength, vision and purpose. Why Date with Destiny: If you are looking for an intensive seminar that will completely change your life and destiny, while arming you with all the skills to create and pursue your dreams. If you have watched Tony Robbins: I Am Not Your Guru documentary, you will know more about DWD Program. It’s the most intimate program of Robbins where you can literally transform the foundations of your everyday experience. Each day has a specific topic, starting with the “Preparation Day”, where you will learn who you are and what you desire from your life. In order to achieve this, Robbins will teach you about the primary drives behind behavior and emotions which ultimately help us when it comes to decision making. On the second day, “Evaluation Day”, you will learn more about how your reactions modulate every event in your life. This segment will ultimately lead to teaching you how to identify triggers that make you react in a certain way that is not compatible with success. On top of that, you will also learn how to adapt to these triggers as to not repeat the same mistakes. The third day, entitled “Discovery Day”, you will uncover what are the rules or values that command your life and your decision-making process. By tapping into this information, you can then redefine these rules in order to live a more pleasurable life. On the fourth day, you will learn more about relationships. “Relationship Day” is designed to help you the secrets behind finding, creating, and maintaining the lasting and passionate relationship you deserve. The fifth day, also called “Transformation Day”, you will set your own rules and values by which you will thrive and live a life of enjoyment and pleasure. This day is all about taking your destiny into your hands and define what you want your future to look like. On the sixth and final day, “Integration Day”, you will learn how to integrate and apply all the knowledge learnt throughout the entire seminar in a way that is long-lasting. Business Mastery program runs for 5 days and nights by world-renowned business leader Tony Robbins and developed with some of the brightest business leaders in the world. By applying the principles taught at this event, you can expect to grow your business 30 – 120% in the next 12 months. You will understand the key factors that create the most impact in your business. You will learn to refocus and realign yourself with the business strategies and mindset you need for competing, innovating and dominating in any economy. Besides Anthony Robbins, you will also get to learn from other business experts who have business experiences in hundreds of different industries such as Jay Abraham, Keith J. Cunningham, Jeff Cochran, David Meerman Scott, Scott Klososky, Cody Foster and other world’s best business leaders from the fastest-growing companies. Some of the things you will learn including how to create raving fan culture both internally and externally, how to decode the technology landscape so you can maximize your business, how to stand out, get noticed and capture your customers’ hearts and minds and how to turn fledgling businesses into highly profitable companies with explosive growth. Life and Wealth Mastery is the ideal way to rejuvenate your body, increase your energy, and build up your physical body. The seminar is all about taking control over your emotions, your body, your finances, and your relationships. The seminar includes some surprising yet amazing features which are not commonly seen in other live events. These include a luxurious stay in top hotels, spa treatments, and even a special diet! The seminar is divided into the Life Mastery events, which focus more on changes you can make in your personal life; and the Wealth Mastery, focusing more on redefining your approach to wealth and business. Although these are two separate events, they can both be attended on the same weekend. The seminars usually take place in tropical locations where you can fully let go of your worries and work on getting your life back on track. Although Life and Wealth Mastery takes a more relaxed approach to the talking portion of the seminars, you are still guaranteed to come back home with much more than just a tropical tan. The seminar is truly focused on one-on-one experiences and on working alone in order to clarify your goals, and energize your mind. Some of the speakers include Dr. Mark Hyman, Bernard Jensen, Dr. Udo Erasmus, Brian Bradley, Kathy Buckley, John Maguire, Edwin Coppard, Dr. Steven Gundry, Dr. Dean Ornish, Robyn O’brien, Dr. Deepak Chopra, Lucia Horan, Harry Dent, Keith Cunningham, Michael Smorch, Dean Graziosi, Dr. Peter Diamandis. Why Life and Wealth Mastery: If you are looking forward to completely let go of your current stressful like in order to redefine your personal goals and establish the path towards your ideal life. There are several upcoming seminars in Fiji, San Diego and Noordwijk, Netherlands. Click here to find out information about the next event! Leadership Academy prepares you to become a master of influence in four powerful days of total immersion by providing you with over 30 years of expertise. With lots of uncertainty in the world we live in today, leadership skill is desperately needed. What if you could step into any situation and make a real positive impact in the lives of others? 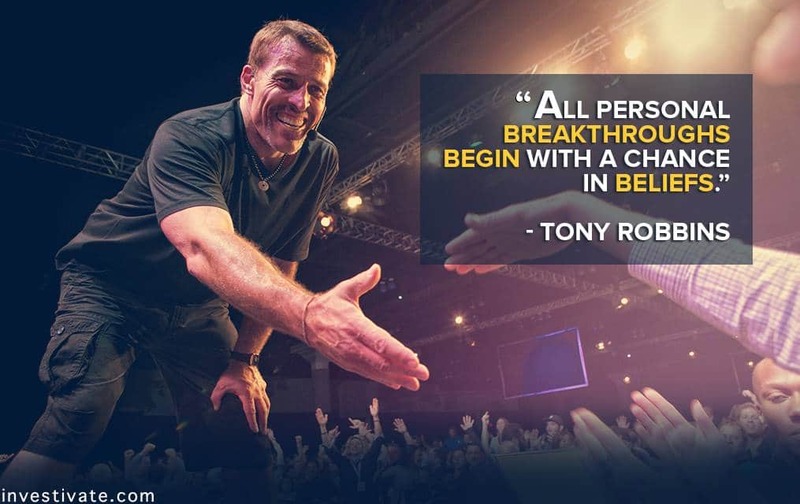 At this event, you will learn tools, strategies, and secrets which Tony Robbins consistently uses to create lasting, positive change and immediate impact in others. You will learn how to harness the power of influence in yourself and others to achieve a much greater vision for mankind at every level by understanding what it takes to influence and motivate people. Some of the speakers include Joseph Mcclendon III, Mark Divine, Sid Jacobson, Robyn Benincasa, Cloe Madanes and Jan Hargrave. Tickets:Click here for early bird tickets and special deals! With so many books, videos, self-help seminars, and podcasts available to you at all times, you may be thinking: why should I go to a live event? The truth is, live events give you the exclusive opportunity to be coached by someone who has unlocked the key to success and, most importantly, is excited and passionate about sharing this knowledge with others. Live events provide a total immersion environment to create a life experienced on your term. You will get to hang out with positive like-minded individuals who demand more out of life. Not only that, you might be able to develop business and personal relationships with some of these people that might last a lifetime. The main goal behind every Tony Robbins’ live event is to equip you with all the fundamental knowledge you need in order to allow your business and personal life to grow explosively in the shortest amount of time. But by now, you may think this means live events are boring or just based on learning. You couldn’t be any wronger! While you will absolutely learn A LOT in a matter of days, you will also have the time of your life! During the event, you might be able to experience the level of energy from Robbins, yourself and other attendees that you might have thought impossible. Over the course of over 35 years, Robbins has taught over 4 million people in 100 different countries to get over their own hurdles in life. And the reason there are so many positive testimonials and raving fans is quite simple: total immersion. In these live events, you will learn how to immerse yourself in order to achieve your goals in life. And furthermore, the key lies in change. If you want to change something in your life, you have the power to do so! And in these live events, Robbins focuses heavily on helping you identify which changes need to be made in order for you to reach your goals, how to make these changes, and how to identify triggers which may make you go back to your old habits. Another technique used is the attachment of an emotion to the changes you want to make. This way, every time you think about the changes to make in your life, they will have some sort of emotional connotation that will keep you on track to your goals. In summary, every live event relies on 3 steps: get you focused on what matters the most to you, get the right skills and techniques and eliminate the inner conflicts in order to reach your goals. If you want to get insightful coaching in order to reach your goals, Tony Robbins’ live events give you all the tools necessary to help you reach success consistently.